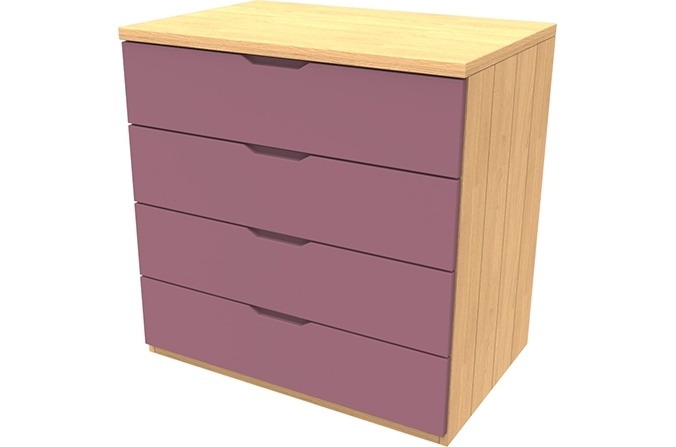 The Savannah Collection Pink Four Drawer chest is ideal for maximising storage space in a bedroom. Four deep set drawers provide an ideal space for clothes. 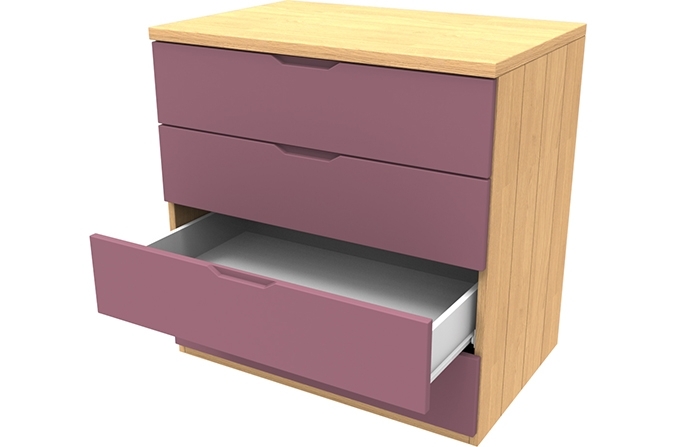 Made from oak veneer with MDF drawers painted pink. Kids Pink Four Drawer Chest to match the Savannah Collection - Painted Stralight Pink also available in Arctic White and Elephant Grey. Oak veneer tongue and groove paneled frame with painted MDF drawers set on metal easy glide runners. Handles are cut out on drawers to create a smooth and sleek finish.